Vanessa R Butler grew up in a family of storytellers. For as long as she can remember, she has always been captivated by the power of stories. 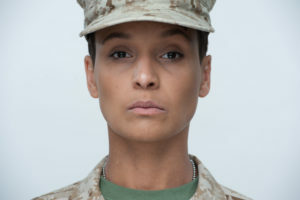 Now, the actress is preparing to tell the powerful story of Marine Corps Officer Molly Solinas in the world premiere of T.D. Mitchell’s Queens for a Year. Butler found inspiration in the stories told by her father, grandfather, aunts and uncles. She was drawn to the power stories had to connect people from all different backgrounds and the different ways they engage with real-life experiences. An admittedly painfully shy child, Butler saw acting as a way to fully immerse herself in the art of storytelling. Auditions initially were hard for Butler, but once she began training, she discovered that she wanted to explore acting further. It wasn’t until she was an undergraduate student in college, at the urging of a professor, that she seriously considered pursuing a career in acting. Butler’s love of the arts came from her father, an artist who reinforced in Butler and her sister the importance of art in society. She notes that he believed that art is “absolutely necessary for a civilization to grow and thrive” and taught Butler and her sister that being an artist is an honorable profession and far from impossible. Butler graduated from Carnegie Mellon University with a BFA in Fine and Studio Arts and later received an MFA in Theatre/Acting from the California Institute of the Arts. The major connection between the two disciplines, she notes, is imagery. 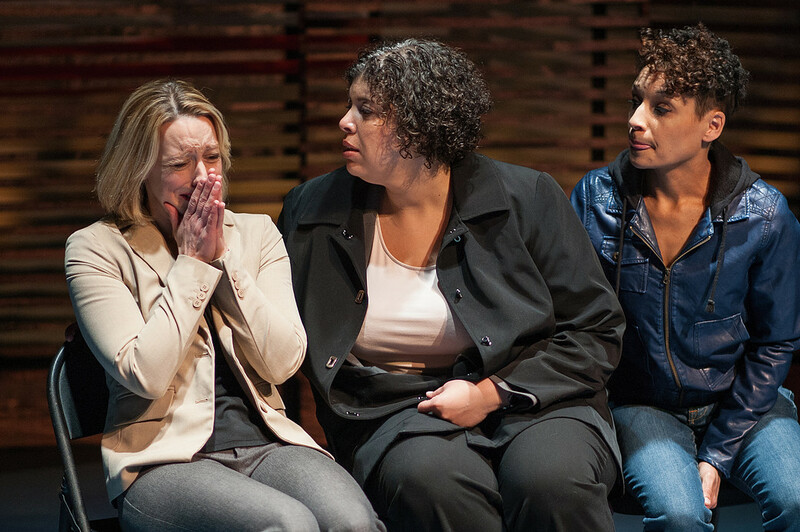 Vanessa R Butler (right) with Rebecca Ellis and Tauran Hagans in Hartbeat Ensemble’s Gross Domestic Product. Photo courtesy of Hartbeat Ensemble. Butler has become a fixture on the Connecticut theatre scene and has worked with Bated Breath Theatre Company (Freedom in 3 Acts), Hartbeat Ensemble (Jimmy and Lorraine, Gross Domestic Product) and the Collective Consciousness Theatre (Khalas) – all of which are known for telling socially relevant stories. Butler firmly believes that all art is a reflection of society and that making art is the best way to understand the problems plaguing our society. “Socially conscious art creates the space to talk about those things, a space that may not have existed before. I’m a huge advocate for the kinds of art that really make us question ourselves, why we do the things we do, and what we truly value. I never want to pass on an opportunity to play a role that could possibly ignite positive social change. That’s the mission of these theatre companies, and they’re creating phenomenal work because of it,” Butler explains. The opportunity to tell an important story rich with character detail and history was one of the first things that drew Butler to T.D. 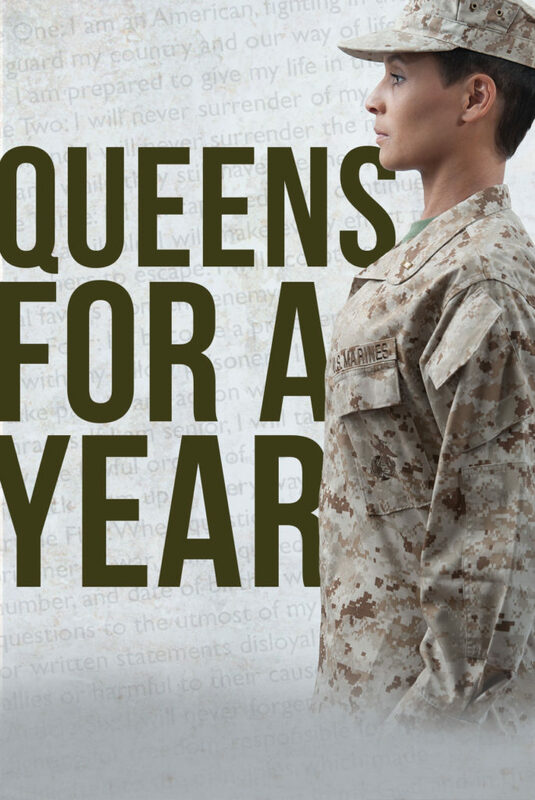 Mitchell’s Queens for a Year. The story of five generations of women who have served in the Marines, and the incident that unites them, greatly appealed to her. “T.D. Mitchell gives voice to these incredible women, women that endure some of the most horrific experiences known to humanity with strength and grace and humor. Their stories are too often overlooked,” she explains. Molly is also biracial – half Hispanic-Black, Half Scottish/Irish American, a trait that Butler personally identifies with. The fact that Butler has Scottish lineage from her grandmother’s family helped deepen her personal connection to Molly. Butler is excited that stories like the one told in Queens for a Year are getting noticed and gaining more momentum and popularity in theatre. She is also pleased with the shift in casting and content on television and web series for biracial actors. When she learned that the casting for Molly called for a young biracial woman, she was elated. Butler is enjoying working directly with playwright T.D. Mitchell to help bring Molly to life on stage. 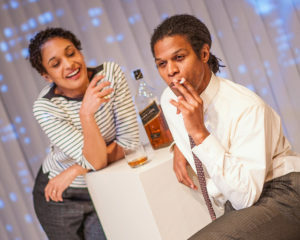 Butler notes that the challenges in originating a role can be daunting because the possibilities are endless but that the open exploration between actor and playwright far outweighs the challenges.